“Online people do not make any money. The whole world was conned with online retailing… it’s a con, a complete con. Sure, it has a future, but the problem is it costs a lot of money to do it properly. There’s an awful lot trying though. If you said to me in 50 years will people be successful, then yeah, but mostly not now,” said Gerry Harvey, in 2008. 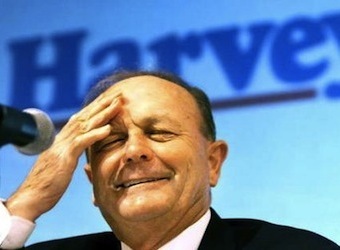 Yesterday (November 23, 2011), Harvey Norman launched its online store. The ecommerce platform allows consumers to review products, leave comments and compare products. Customers can collect their purchase in-store or pay for home delivery at a cost between $6 and $200 depending on the item. Harvey Norman has 195 franchised outlets nationally. The ecommerce launch follows Harvey’s spearheading a campaign with a coalition of Australian retailers attacking the GST exemption enjoyed by international ecommerce businesses on items costing under $1000. The launch comes amid another Kyle Sandilands scandal, with consumers bombarding the Harvey Norman Facebook page in disapproval. Meanwhile, online retailer Kogan Australia tells Marketing it’s not worried by Harvey Norman’s foray into the online space: “Price is key in the online world. Any customer can quickly compare the prices and specifications of all available products. If Mr Harvey is simply trying to offer his bricks and mortar prices to online customers, then we shouldn’t hold our breath waiting for them to start biting,” says David Shafer, executive director.